Save 10% when starting Year Two of Telling God’s Story! The Year Two Combo Pack contains one copy of the Instructor Text and one copy of the Activity Book. Scripted lessons on the life, deeds, and teachings of Jesus--suitable for home or classroom instruction. 146 pages. Hold a feast like ones Jesus and his disciples might have eaten. Defend a flock from wolves! Learn about compassion by playing the Good Samaritan Game, and make an ancient scroll like the ones that Jesus read. 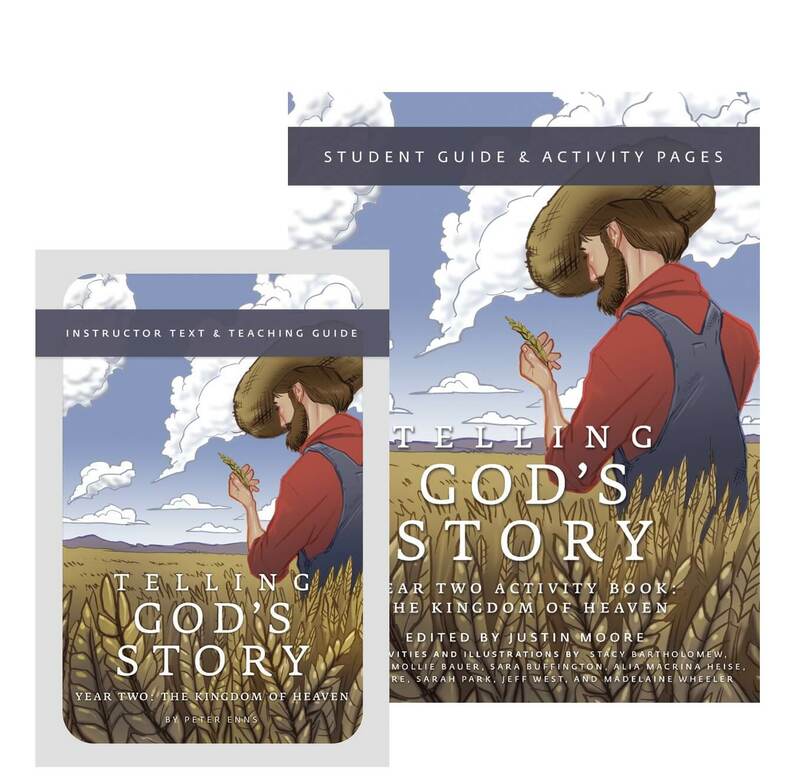 The Telling God’s Story, Year Two Combo Pack gives students and teachers everything they need for a year’s curriculum, all in one purchase. Telling God’s Story, Year Two: Instructor Text and Teaching Guide Thirty-nine scripted lessons, with supplemental material for the teacher, on Jesus’ life, teachings, parables, miracles, death, and resurrection. Telling God’s Story, Year Two: Activity Book: Student Guide and Activity Pages A perfect companion for parents or teachers, this Activity Book provides coloring pages, memory work, crafts, recipes, games, and ideas for helping kids put their faith into action.